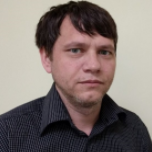 Lev is a hard-working and proficient engineer has been working in commercial software development since 2016. He was using C/C++ programming language, Qt library, and embedded Linux OS. Besides, He has experience in blockchain projects development. Lev has proven experience in software development as a team member but can work independently as well. At this moment he's focused on the blockchain projects development and he's looking for new challenging projects. Cloud synchronizer of data. User data automatically encrypts and backups on “farmers” computers. Renderer of the music symbols. Provides graphical representation of symbols based on the MusicXML. IoT solution for industrial factories/companies, which provides the possibility to improve/optimize electricity usage. The main aim was to create a system, which could found patterns of behavior and use them to decrease electricity usage. Desktop program for Windows, which provides connection to WPA-2 Enterprise hotspot. Background program, which download/install .p12 certificate then based on it build the network profile, which allows you to connect to the secured hotspot. A device for automation control solution based on ARM CPU with embedded Linux OS. This device is designed to measure physical quantities of technological processes, where need to control some physical values, for example, temperature. The device captures value from prime sensors, like a thermocouple, that generated the output value in dc voltages or resistance.